Baby Monkeys - When are the baby monkeys born? Baby Monkeys – When are the baby monkeys born? 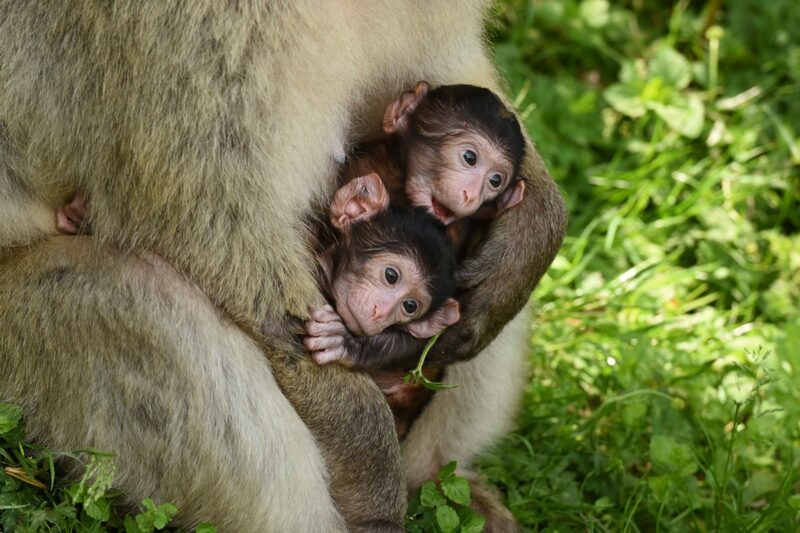 It’s nearly that time of year again when we welcome the new additions to Trentham Monkey Forest. Each year the baby monkeys are born from late spring through to early summer. 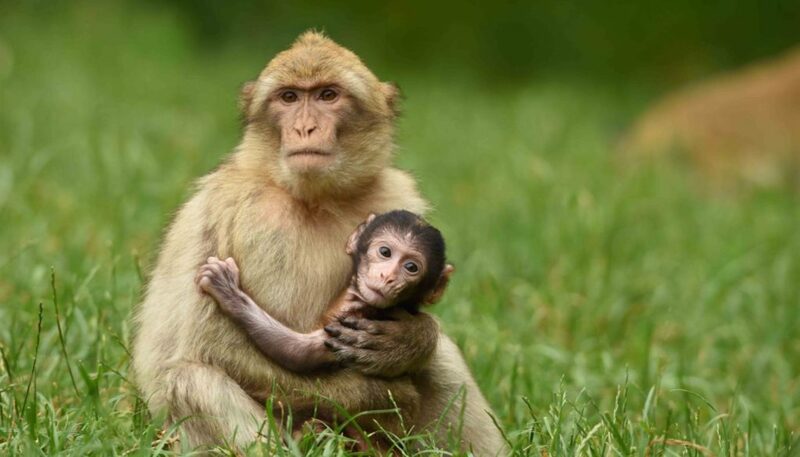 The Barbary macaques are seasonal breeders, with babies always being born at the same time each year (usually between April – July). It’s always an exciting time as the Monkey Forest staff wait in anticipation. The Barbary macaque species are listed as endangered on the IUCN Red List, therefore every addition to this fascinating species is crucial. 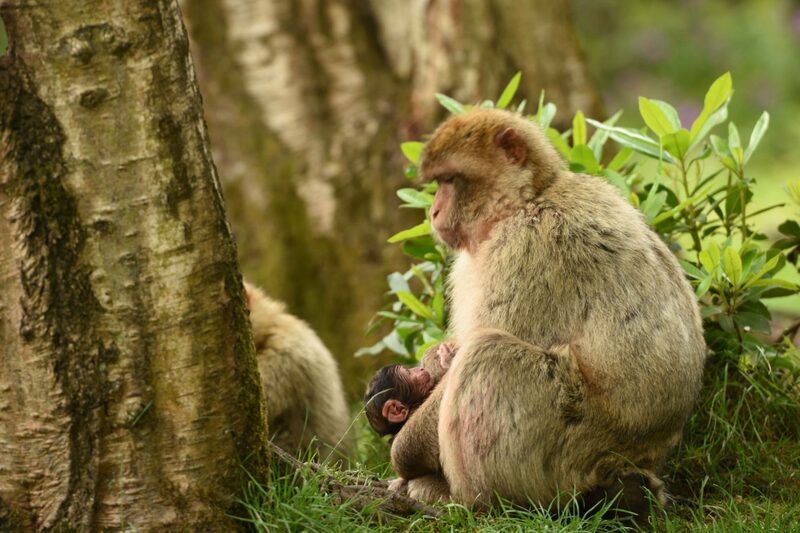 The Barbary macaques give birth high up in the trees at night. The first we know of the birth is the following morning when our guides spot a very tired mum holding her new arrival. It’s a magical moment and something we all look forward to. From birth the babies cling to their mother’s tummy for food, comfort and warmth. The babies are born with black fur, a bright red face and extremely large ears. They weigh only 600g, similar to a bag of sugar. It’s usually not long before the new arrivals are on the move. Taking their first (very wobbly) steps at around 10 days old, trying solid foods after about 6 weeks and exploring the forest and its many trees – which make the perfect climbing frames! The new arrivals are very popular with other members of the group. 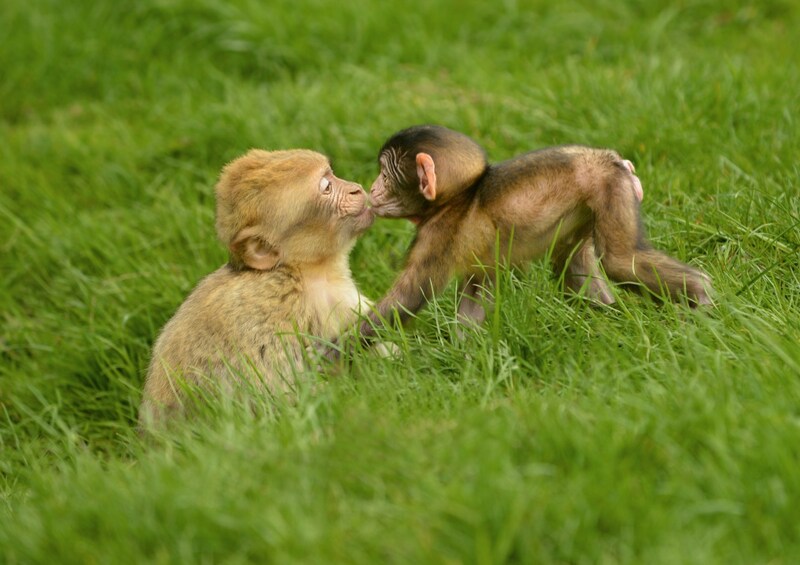 Our younger monkeys are usually very curious and want to play with the newbies, whilst the males help to care for and protect the babies – a trait that is unique to the species. With baby season fast approaching make sure you’re following us across social or sign up to our newsletter to be the first to know of any births and to see updates on the new arrivals – yes, that means tons of baby monkey videos and pictures.